Bissau – Accurate, clear and well-documented media coverage on migration plays a crucial role in raising awareness in West Africa on the risks of irregular migration and in the reintegration of returning migrants in their communities. As prominent community educators in countries where the illiteracy rate approaches 60 per cent, journalists often receive limited or no journalism training, except in few higher income countries like Senegal or Nigeria. It is in this context that the International Organization for Migration (IOM), funded by the European Union Emergency Trust Fund for Africa (EUTF), organized a three-day training this week (5-7/02) on migration reporting for 28 journalists from Guinea-Bissau. 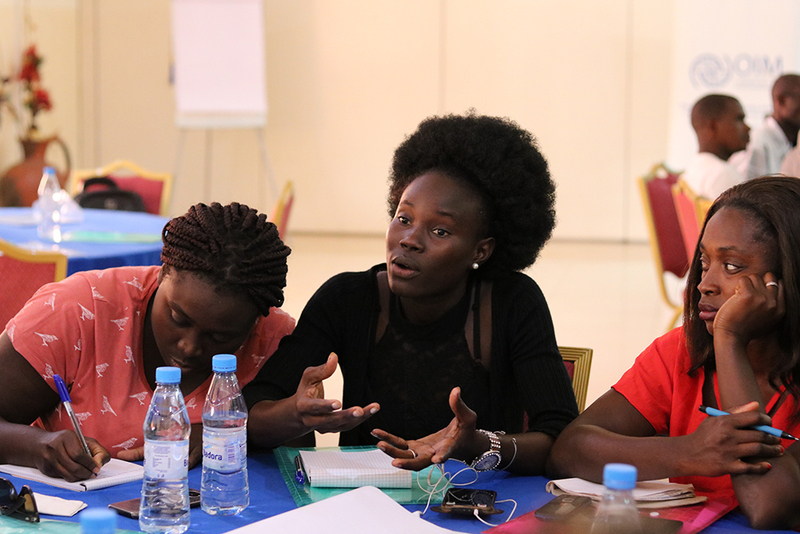 Participants – mostly from radio, from a country where print media is not widespread – started with the basics, first receiving an overview of the migration situation in Guinea-Bissau as well as along the Central and Western Mediterranean routes. The training included an in-depth study of migration terminology and the legal implications of each term in use – for example, that every refugee is a migrant, but not every migrant is a refugee – followed by an explanation of trafficking in persons in the Guinea-Bissau context, and more generally across the region. Journalism ethics – particularly the journalist’s role in preventing and protecting victims of trafficking – was also discussed. A session to strengthen interview techniques was conducted to ensure the protection of vulnerable returning migrants (including victims of trafficking, pregnant women and minors). The training was also an opportunity to learn from Sanussi – a Bissau-Guinean recently returned from Algeria – who shared his own migration experience. “As media people, we should tell them that they can use the money they have to get a visa, documents. I want to tell them, ‘Do it the normal way without hiding’. But we can certainly not tell them that one way is the good one and that if they take the other one, they will die,” Utali explained. “We would just scare them, but they would still go,” she concluded. Participants visited two collective reintegration projects, each of which allowed two returning migrants to pool their resources and start a poultry business and a tailor shop. Following the visits, the 28 journalists wrote the first joint blog on migration in West and Central Africa. “Learning how to cover migration issues with due regard to the human rights and the dignity of migrants is a fundamental step in informing public opinion. For an objective and evidence-based analysis, it is important to know how to report on migration in a different way,” said Laura Amadori, IOM’s Chief of Mission in Guinea Bissau. This training was provided under the EU-IOM Joint Initiative for Migrant Protection and Reintegration, an Assisted Voluntary Return and Reintegration programme for stranded migrants along the Mediterranean migration routes. The programme is funded by the European Union and implemented by IOM. A total of 408 Bissau-Guineans have been assisted under this programme since 2017. 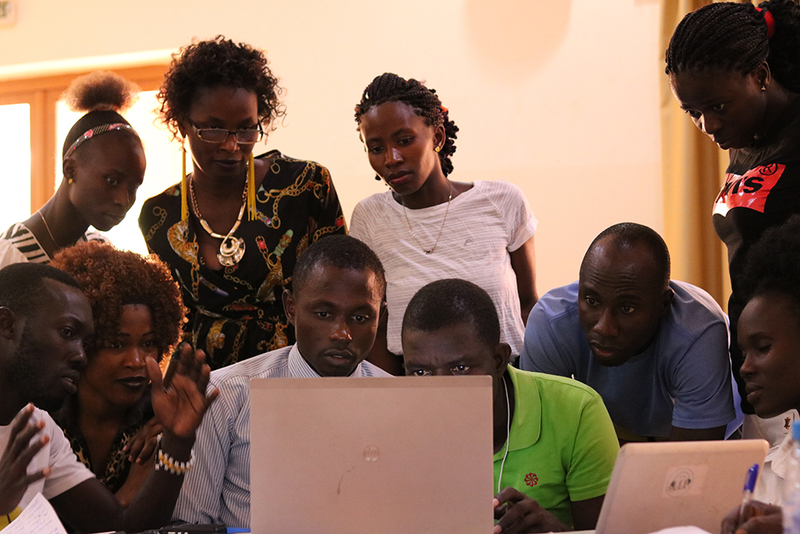 Since 2018, IOM has trained 400 journalists from seven West and Central African countries to strengthen media coverage on migration. An ancillary goal is to better inform news consumers on the risks of irregular migration, and to facilitate returning migrants’ reintegration. Since the launch of the EU-IOM Joint Initiative in 2017, almost 53,000 migrants have been assisted to voluntarily return to West and Central African countries. While post-arrival reception assistance has been provided to slightly more than 52,800 returnees, economic, social and psychosocial reintegration remain a key factor for a sustainable return.